When it comes to change, some will see the glass as half full while others will view it as half empty. This month on We Hear You, we look at ways your service can lead through periods of change. 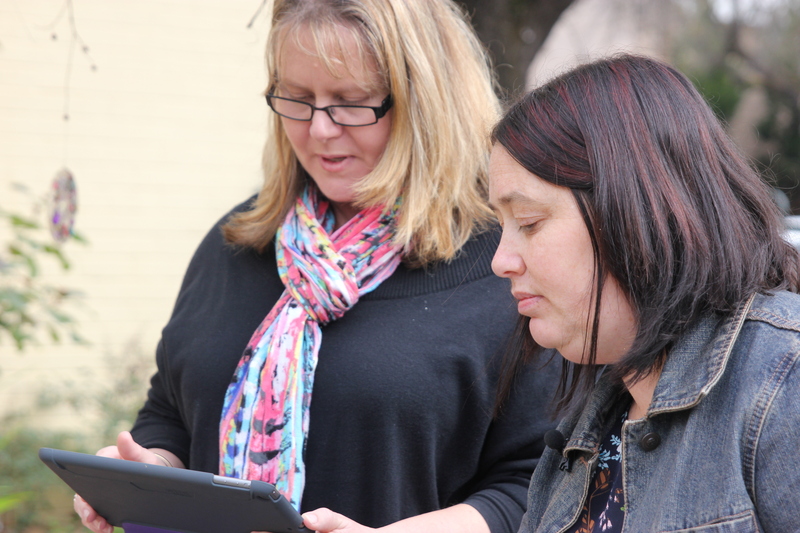 The introduction of the National Quality Framework (NQF) and the National Quality Standard (NQS) represented a significant period of change for the education and care sector. There were new regulations, processes of assessment and rating, and policies and procedures requiring updating. 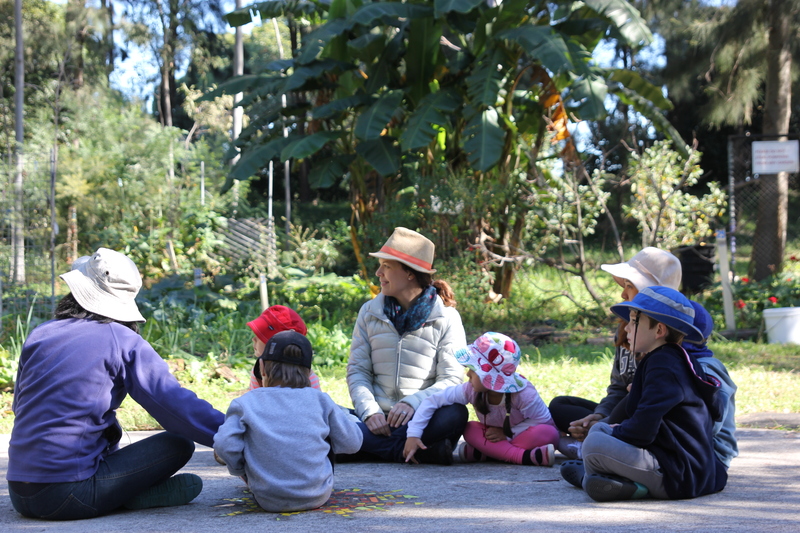 While this period of change was challenging at times, the reform introduced a successful national system – a system that formally recognises the growing body of research that the early years of children’s lives are integral to their learning, development and wellbeing. 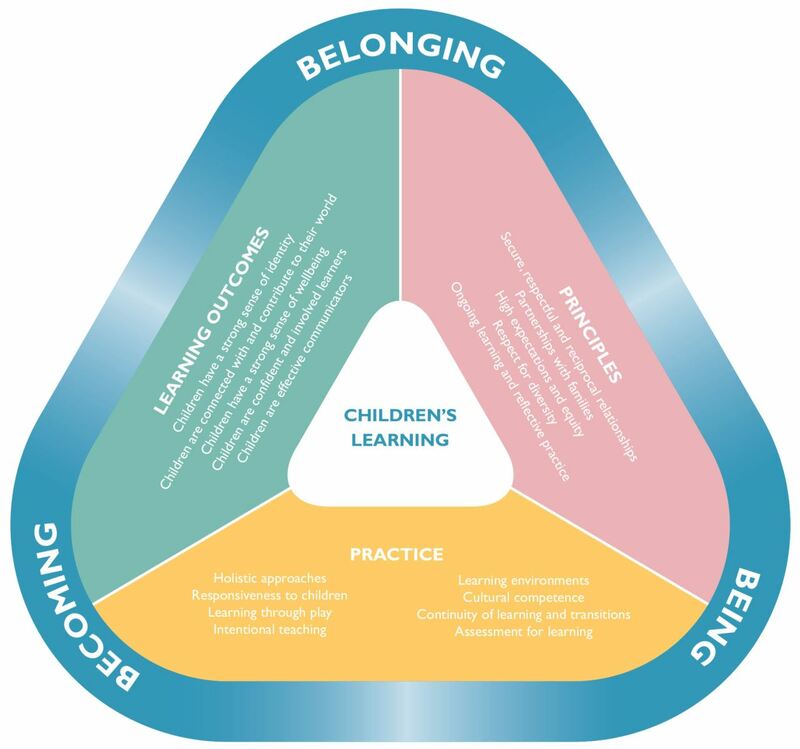 Over time, the NQF and NQS will evolve, responding to the needs of children, families and an education and care sector driving quality practice and continuous improvement. 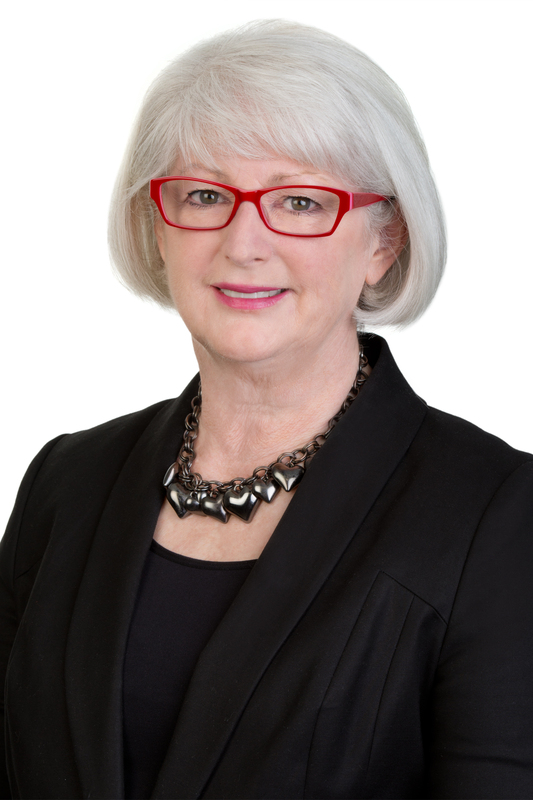 The recently announced changes to the NQF are a chance for education and care providers to think about change more broadly as well as the way change is approached and managed at the service level. How will your service lead through change? Will the glass be half full or half empty? The upcoming changes provide a great opportunity to review current systems and processes. Change management theory can provide a useful framework for moving from being passive recipients of change to actively embracing change and growth in all aspects of your service. 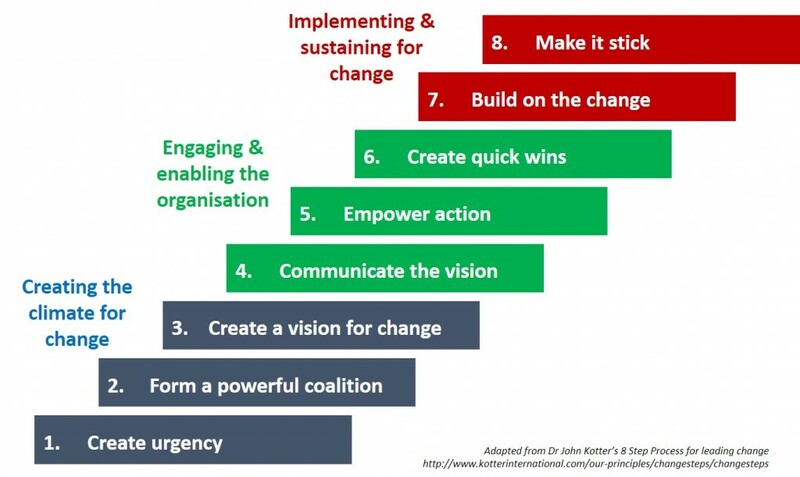 One possible approach is Dr John Kotter’s eight step process for leading change, which explores the notion of creating a climate for change, represented in this graphic. Kotter visualises the series of steps that can help you and your service respond to change in positive and empowering ways. While structured steps may not suit everyone, making change a positive experience by involving all service staff is the key. Thinking about what you want to achieve and opening up opportunities for all stakeholders to be involved can help support change. Times of change are ideal for considering the way leadership is enacted across a service and how leadership impacts on change management. They also present the chance to empower action by considering a more shared approach to leadership. These prompts can support your team to critically reflect on how to be effective leaders of change. ‘Implementing and sustaining for change’ is a way for your education and care service to focus on the big picture, consider the process of continuous improvement in your context and how effectively change is managed, implemented and sustained. Do all stakeholders know about the NQF and why it is important? 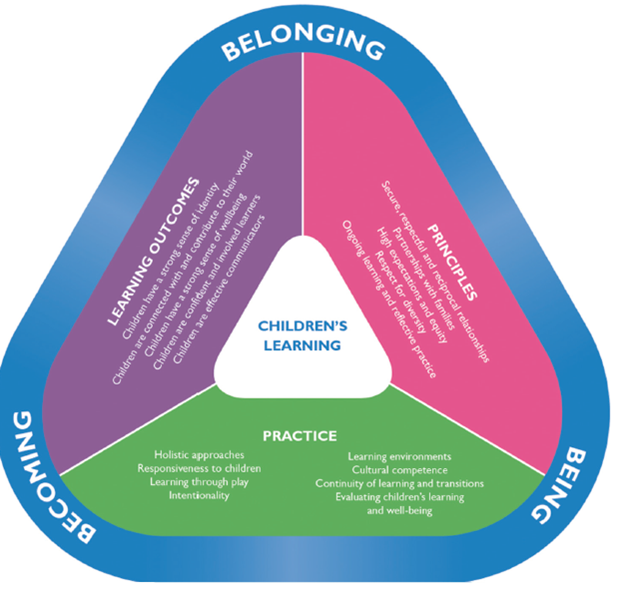 What changes have occurred since the introduction of the NQF and how are these celebrated, communicated and built upon? Are you treading the same ground? 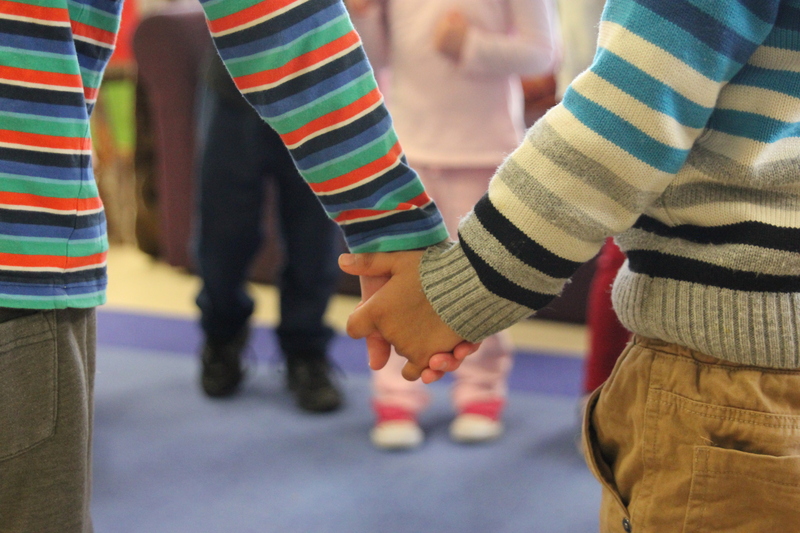 How are children, families and the broader community involved? Could this be extended? Does your service have a vision for clarifying and articulating its purpose? Is the vision being realised? How is your service vision and philosophy connected to the process of continuous improvement? Along with these questions for reflection, opening up the space and taking the time to communicate and collaborate on how your service will lead through change could help you perceive the glass as half full and allow you to engage more effectively with continuous improvement. The World with Theory of Constraints – Overcoming Resistance to Change – Isn’t It Obvious?